Tag Archives: What Was That? I’ve played the entire campaign on Death March! and done most of the achievements, except a few ones secret or grindy (listed below) that I completed after finishing the game. I decided to toss out a few tips that could speed up the process. 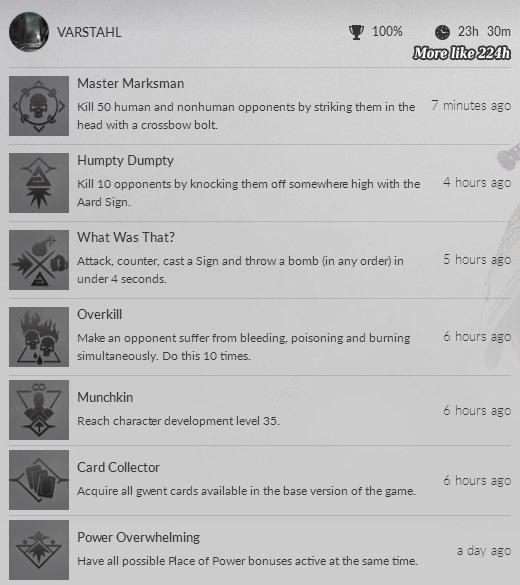 What Was That?, Power Overwhelming, Card Collector, Munchkin, Overkill, Humpty Dumpty and Master Marksman achievements. I don’t know why this achievement is hidden, I only discovered it while close to the end of the game. You “simply” have to counter-attack, attack, throw a bomb and use a sign. I did it in this very order, but you can mix it up as best suits you, just do it all in less than 4 seconds. This is rather easy, and can be done from the beginning in White Orchard. It consists in having all the buffs from places of power active at the same time. 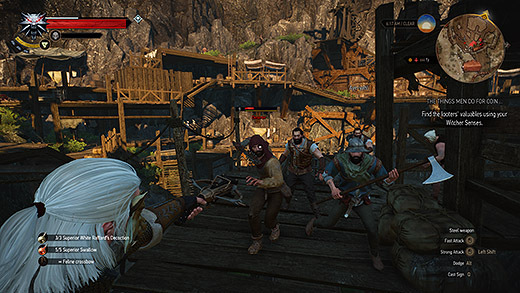 There are 6 in places of power in White Orchard, we need only the 5 different ones. 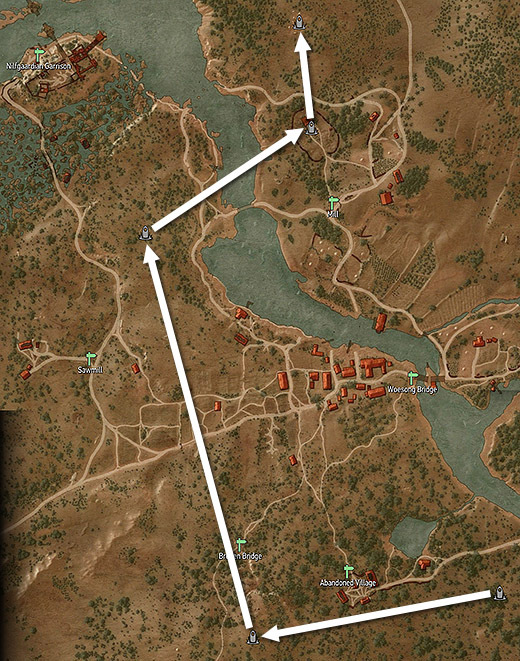 I provided the fastest path in the image below, starting east of the Abandoned Village. The easiest and fastest way to get the achievement, all done in White Orchard. This is the most time intensive one. There are a lot of guides around the web, like the VG24/7 or the gosunoob one. The problem is that THEY ARE WRONG. One example above all: you don’t lose cards bedding people. 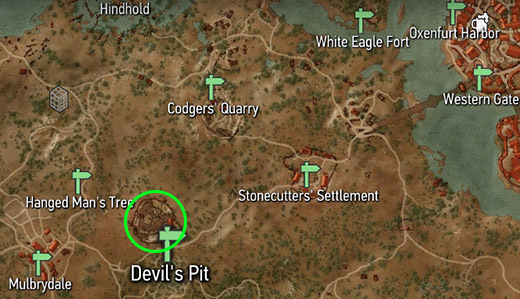 Locations you have most likely forgotten. You play people all throughout the game. The first time you win with a certain person you get a random card from a fixed pool. If you are in this position (when you play a new person but it gives you money only) then you probably missed some of the vendors. A lot of websites (all of them) say that a few cards are available from Midcopse, but this is wrong: the vendor they are referring to is in Lindenvale. 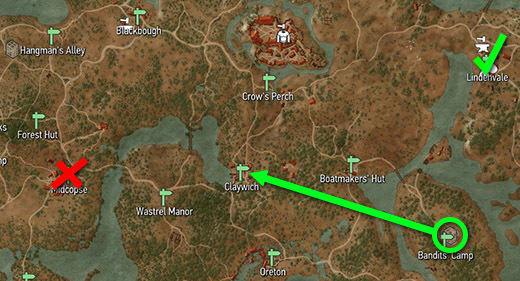 Another vendor you could have missed is the one freed in the Bandits Camp east of Oreton, that you will find later in Claywich. After completing the campaign, the contracts and most of the side quests, I was stuck at level 34 and a quarter. Completing the Pest Control in Velen and some treasure hunt elegible of XP, I was stuck at level 34 and a half. 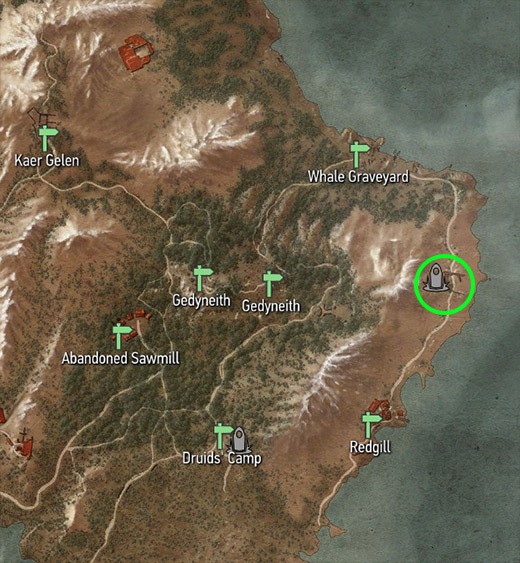 Then I discovered that in Skellige there is a place in which a level 30 Cyclops respawns after meditation. 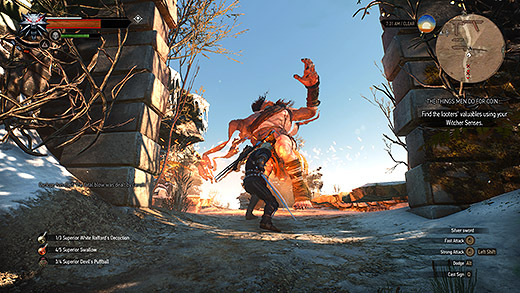 The level 30 Cyclops can be found here in Skellige. I had to kill him a few times to get to level 35 for the Munchkin achievement, but while at it (in Death March! difficulty) I thought of going further and combining the grind with the Overkill achievement. The cyclops has enough HP to survive several blade slashes (with 15% chance of bleeding), followed by poison bomb(s) and Igni (with 5 points in Melt Armor). Do it 10 times (sometimes you can do it twice on the same cyclops) and you’re done. A cyclops being gently overkilled by statuses (bleeding + poison + burning). The best place for these achievements is in Velen, specifically Devil’s Pit. There are several human deserters, high non protected ledges and, most importantly, they all respawn when you change map. If you kill them all, move to another map (Skellige / White Orchard / Royal Palace of Vizima), and then move back, you will find everyone there and waiting. The best farming point is in Velen. There are a few people using the door glitch (pull them, move back past the gate and they won’t get to you). Some use Axii to stun them and have a better shot. I found out that the best way was to face them and place a bolt in between the eyes. I had about a 90% success rate with this method, it’s all in getting up close and personal. A deserter being gently crossbow’d in the head. I remapped the crossbow/item key from Middle Mouse Button to the key left of 1 on the keyboard: in my case \, ~ in the EN keyboards. Remember that while aiming down the crossbow you can still move, so it’s easier to aim and slow the time down from a moderate distance and then getting close and shooting the bolt. Do this 50 times and you too will be done with the most boring grind in the game. AchievementsCard CollectorHumpty DumptyMaster MarksmanMunchkinOverkillPower OverwhelmingScreenshotThe Witcher 3What Was That?